Almost by definition, living in a small town like Driggs means leaving from time to time. Whether it's work, visiting family, vaction, or a supply run to Costco, travel outside the valley happens. For the past sixteen years I have spent a November weekend in Minneapolis, where R.U. Outside displays at a big Winter Sports Show. The city is terrific, and the people are even better. "Minnesota nice" is an absolute truism. The whole experience is so pleasant that Joanne even accompanies me, and this year her brother Mark and his girlfriend Cara joined us as well. 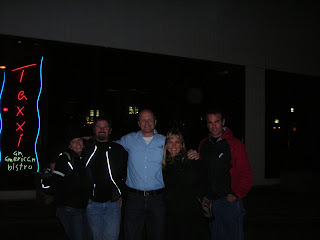 It was great catching up with them, and mixing a little fun with business. Another huge plus with the Minneapolis show is that once we're there, we don't have to drive. Several hotels are practically adjacent to the convention center, and a plethora of great restaurants line nearby Nicollet Mall, a hip pedestrian street. Thursday's dinner at The Newsroom was a highlight; their "Get Bent" drinks are legendary. 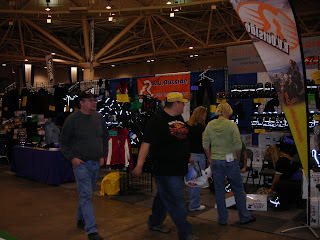 These tradeshows are not especially glamorous, and the toll on feet, backs and energy is noticeably greater now than it was sixteen years ago. Making it even more difficult is the fact that attendance at this show has declined over the years; winters in Minnesota are not what they used to be (notice the green grass in the top photo, arrggh). But, we persevered and made the most of it. In the ultimate team sacrifice, Mark and I passed up tickets to the Vikings-Packers game on Sunday (are you kidding me Mark, did we really say "no" to that? what have we become?). 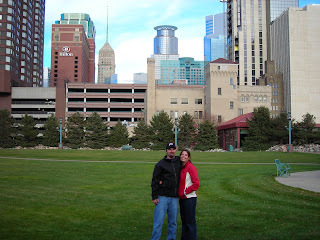 It was probably a once-in-a-lifetime opportunity, but the game was in Green Bay and we were in Minneapolis...working. With our significant others. Some decisions just aren't win-win. 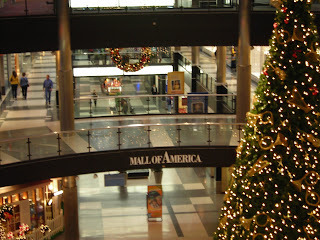 The Grand Finale of our trip was a month's worth of Christmas shopping compressed into a couple of days at the Mall of America. With over 500 stores, 50 restaurants, 14 movie theatres and an indoor theme park (including rollercoasters, a log flume, ferris wheel, and real-live trees), it swallows you whole yet does it in a comforting way. Yes, you just spent all your money, but the people were just so NICE...ahhh, only in Minnesota. Just be sure you have a map, or better yet a GPS, because you will get lost. Especially if you're from Driggs. 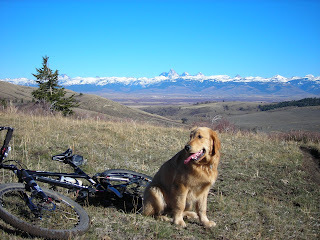 We somehow emerged from the mother of all malls, caught our direct flight to Idaho Falls, and enjoyed the quiet drive home to Driggs...where Bridger awaits the next outdoor adventure. I'm looking forward to it as much as he is.